It is said that Napoleon used to sleep only 4 hours a day. I mean, no offense, Napoleon, but I wouldn’t trade my divine 7 or 8 hours of sleep in my perfectly comfy bed for anything. And today, I want to introduce you to the mattress, on which you will definitely sleep more than 4 hours. 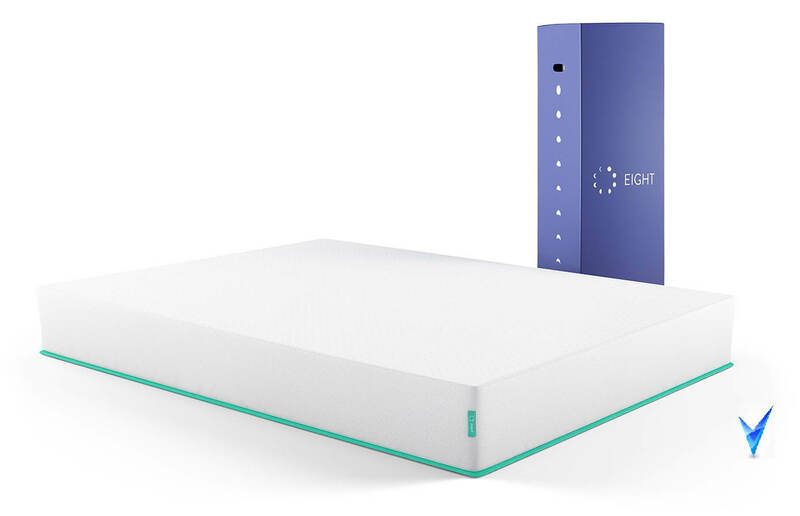 Let’s take a close look at the Eight Smart Mattress and see whether it is able to give you the bliss of a quality sleep. Is Eight Mattress for You? You probably know that the construction of a mattress is the most important component of your good night’s sleep. 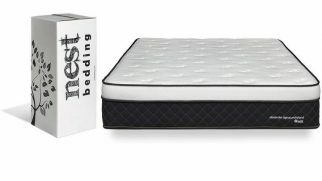 So, I want to start my Eight Smart Mattress review with the essentials. The 2-inch reactive foam layer, which is very responsive and prevents sleepers from feeling stuck in the foam. It also helps with the cooling effect since it doesn’t allow the foam to envelop around your body and cause you to sweat. 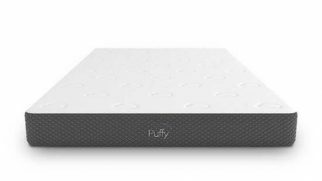 The 2-inch contouring memory foam layer, which is cradling and supportive at the same time. The 2-inch supportive transition foam layer, which is the supportive foam. It was designed specifically to provide a smoother transition from the comfort layers to the dense base. But because this layer is quite dense itself, it also adds more support to the whole construction. The 4-inch high density support foam layer, which is made of the high-density supportive foam. This layer serves as a base of the mattress, helping it keep its shape and support the weight of the users. The pure foam construction allows for the great combination of support and moderate cradling. I feel like this is the optimal option for almost any user. There’s a special technology added to the cover, which was designed to improve your sleeping experience. The list of the things it can do is rather impressive. It can help you track your sleep, control the temperature of your sleeping environment, set your alarm in the smartest way possible, and become a part of your Smart Home. The firmness level of your mattress is the thing that’s directly linked to the quality of your sleep and your well-being. That’s why you should pay attention to this section of my Eight Smart Mattress review. The Jupiter+ model has a medium-firm feel. On the scale from 1 to 10, it’s somewhere near 6 or even 5. 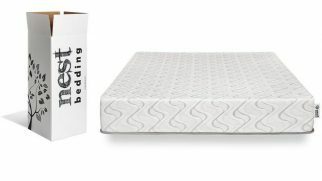 This level of firmness is a great option for the majority of sleepers since it offers both decent support and gentle cradling. It has enough firmness to distribute your weight evenly and align the spine, but it’s not too stiff to make your pressure points hurt. It allows minimal sinkage, which is great for pressure relief but doesn’t make you feel like you’re sleeping on a mushy piece of foam. As a result, you get that golden middle: good support combined with moderate softness. 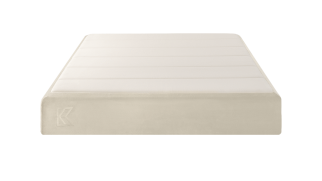 As I’ve already mentioned in my review of Eight Mattress, this model offers a decent level of support. The combination of different-density foam layers really does its job well. I tested this mattress in all sleeping positions and felt equally comfortable and supported on my back, stomach, and side. Because this model has a medium-firm feel, it is perfect for light and average sleepers. However, I feel like it might be not stiff enough to properly support heavier sleepers. The good news is, the Eight company has firmer models, for example, The Mars+, which is a “foam + coils” hybrid and belongs to a bit firmer category. I know, you love your significant other. But when they wake you up in the middle of the night (or you wake them up) by tossing and turning, the feeling of love can disappear for a slight second (or maybe even longer, yikes!). What can help you with that is the mattress with excellent motion isolation properties. Now, I don’t want this part of my Eight Smart Mattress review to disappoint you, but this mattress’s performance in terms of motion isolation is rather mediocre. I’m not saying that it’s all wiggly and unstable. However, if you’re a super light sleeper, you are going to feel your partner move. When it comes to such a feature as sinkage levels, tastes differ. Some people enjoy being enveloped by the mattress, others prefer to actually stay on it and not in it. Now, for the Eight Smart Mattress, the sinkage tests showed decent results. When lying on my side or back, the bed allowed around 2-3 inches of sinkage. This is enough to cradle your pressure points but won’t make you feel stuck in the foam. With the Eight Mattress, you don’t have to worry about that. When I first opened the box, I did feel a slight odor, but it was neither chemical nor unpleasant. It was more like a combination of the plastic wrapping smell and a new mattress odor, which disappeared within a couple of hours. It can monitor your movements during the night, your heart rate, the stages of sleep, and even your breathing. All of that will be displayed in a special app, which can help you study the patterns of your sleep and improve its quality. It will detect your light sleep stage and trigger the alarm so that it would be easier for you to wake up. It will allow you to warm up the whole sleeping surface or just one side of it (if you and your partner have different preferences). You will be able to connect it to some other Smart technologies of your home. For instance, it can automatically turn the lights down when you start falling asleep. This is not the whole list of the cool things this mattress can do, and I’m sure you’re going to enjoy them all. The coolest thing about this mattress is, of course, its high-tech cover. While the mattress is very comfortable itself, the things it can do for your sleep are even more impressive. I mean, this is a smart bed, which means it will work for you and for the quality of your sleep. The worst thing about this model is the fact that it might not be supportive enough for the heavier sleepers. Let’s not forget that it’s a medium-firm model and, while having a rather dense foam in its construction, it’s still not too stiff. Therefore, larger sleepers might find it to be too soft. While the comfort is what matters the most, some small details like warranty, trial, and returns can really ruin your mood. So, let’s see what the Eight has to offer. Now, the shipping and the returns are free. The mattress is shipped compressed in a box, which is super convenient. The company also offers a 100-night trial, which allows you to return the mattress for free if you aren’t 100% satisfied with it. Additionally, there’s a 10-year warranty on the mattress and a 1-year warranty on the technology cover. Someone who wants a medium-firm mattress. People who appreciate the balanced feel of decent support and moderate cradling levels. Sleepers who don’t really care about motion isolation. Someone who wants a sleep tracking system. People whose budget isn’t too limited. Click here to find out more and how to order YOUR Eight Mattress! To be honest, this mattress exceeded all of my expectations. It is very comfortable, has a balanced feel, and features a super handy sleep-tracking and comfort-improving technology. No matter what your favorite sleeping position is, I’m sure you’re going to enjoy the Eight Smart Mattress. Are you thinking of trying this mattress now? Feel free to share your experience below once you get to sleep on it.